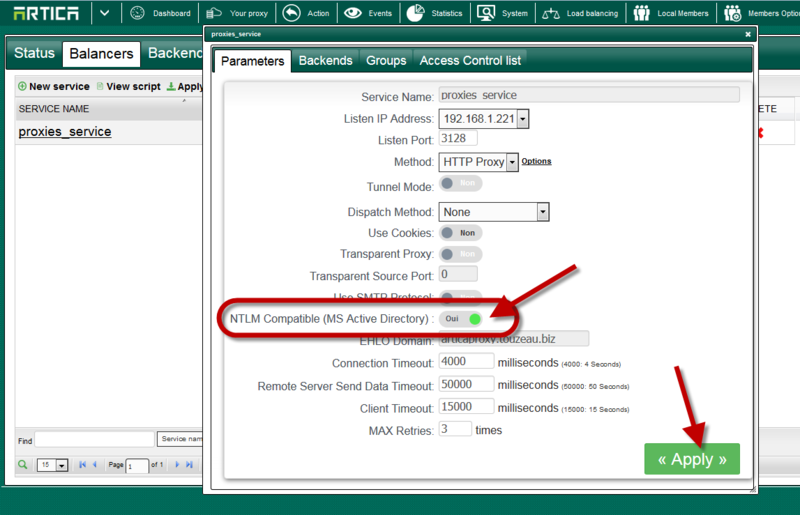 If you need to load-balance proxies connected to your Active Directory, you have to Activate the NTLM compatibility option. You can define the “NTLM compatible (MS Active Directory)” option on the main service or in a group. 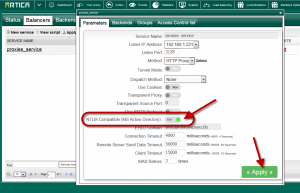 Enable the “NTLM compatible (MS Active Directory)” and Apply parameters.